This was a vacuum tube computer developed at Fuji Photo Film. It was developed by Okazaki Bunji for use in lens design. Okazaki started research in 1949, and overall assembly began in March 1952 in parallel with research on memory. An operation demonstration was conducted in November 1955 for an inspection tour by the Electronic Computer Research Group of the Institute of Telecommunications Engineers. 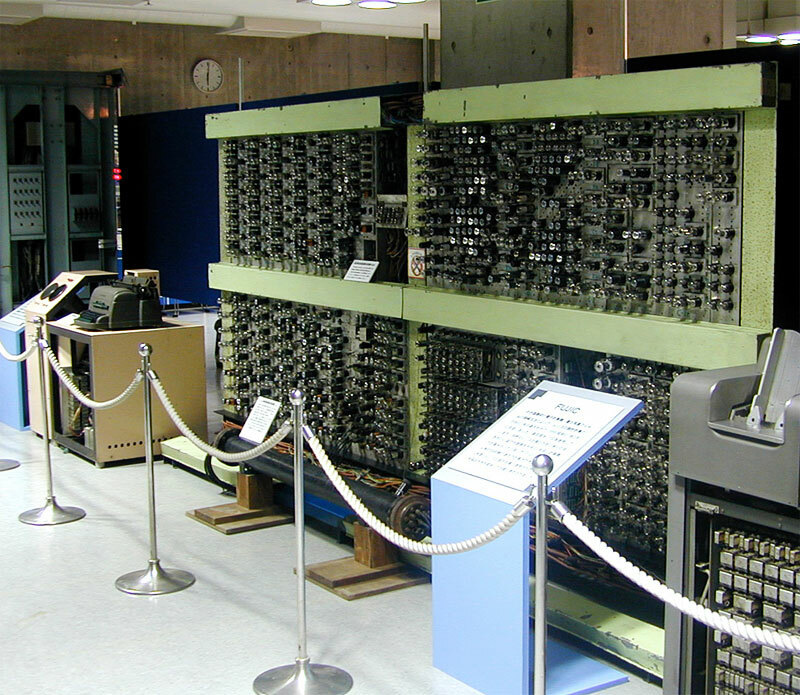 The machine was first completed in March 1956, and became Japan's first electronic computer. The FUJIC was a binary, 3-address type electronic computer employing approximately 1,700 vacuum tubes, and ultrasonic mercury delay lines were used for the 255 word memory. Clock frequency for logic circuits was approximately 30 KHz, but the system had a comparatively high speed of 0.1ms for addition/subtraction and 1.6ms for multiplication due to the use of parallel arithmetic circuits. The goal was to achieve a speed 1,000 times that of human calculation in lens design, but the achieved performance was actually about 2,000 times. For about two and a half years, the system was used at the Odawara Factory for calculations within and outside the company. Later, it was given to Waseda University, and today is preserved at the National Science Museum in Tokyo.